2. You will be presented with the following page. Click the “Sign in with your organization account” link to proceed. 3. Enter your Williams email address (short form,) then click the Continue button. 4. 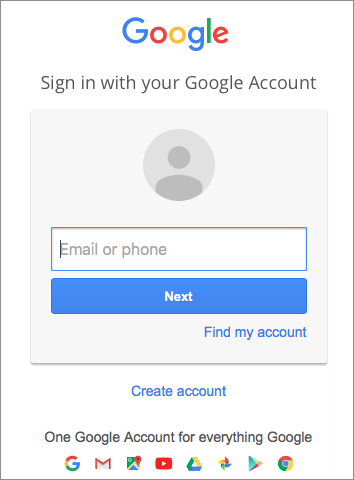 You will now be presented with this Google Sign-In page. Enter your Williams email address and click Next to complete the sign-in process. *If you see this screen below, you can either select “Connect my LinkedIn account” or “Continue without connecting my LinkedIn account” to proceed. Q: Is the content the same on LinkedIn Learning as on Lynda.com? A: Yes, all of the same content from Lynda.com will be on LinkedIn Learning. Q: Will I have two separate accounts for Lynda.com and LinkedIn Learning? A: No. When the migration is complete, all of your history, in progress and bookmarks will be in your new LinkedIn Learning account. Q: Do I need a LinkedIn account to use LinkedIn Learning? A: No, you do not have to have a LinkedIn account to use it. Q: Will the certificates of completion be migrated as well? A: Yes. All work history will be migrated. Q: What happens to my history and certificates when I graduate or leave Williams College? A: If you chose to connect your LinkedIn profile to your LinkedIn Learning account, your history will stay with you for life. If you move to an employer who offers this benefit now or down the road, all your history will populate when you reopen a new LinkedIn Learning account. This is one of the benefits of connecting your account. Q: How do I link my Williams LinkedIn Learning with my non-Williams address with LinkedIn? 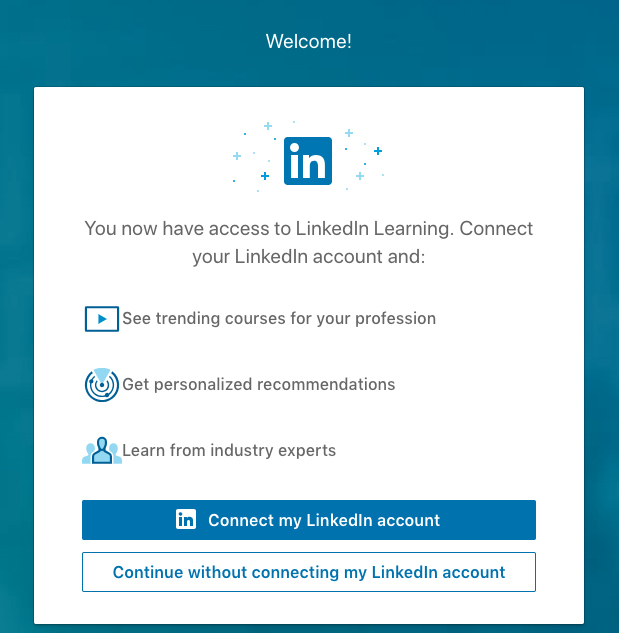 A: When you activate your LinkedIn Learning account, you will have the option to connect your personal LinkedIn Profile if you wish. Q: Will my links to Lynda.com lessons on my GLOW course site still work? Will they be redirected to the same lessons on LinkedIn Learning? A: All links to Lynda.com will be redirected to LinkedIn Learning content for 3 months after the migration. Q: Can I continue to use Lynda.com while the migration is going on? A: No. We are expecting up to 18 hours of downtime. Once the migration is complete, you will receive an email notification to activate your LinkedIn Learning account, which is different from a LinkedIn profile account.